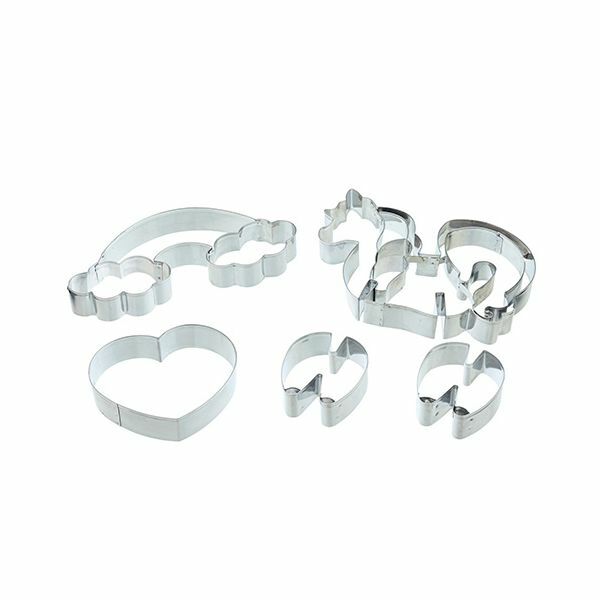 This Sweetly Does It unicorn cookie cutter set features five cutters that include a rainbow, heart and the body and legs of a standing unicorn. The cutters not only cut out the cookie shape but flip the cutter over and the outline can be embossed so that the cookies can be iced accurately. 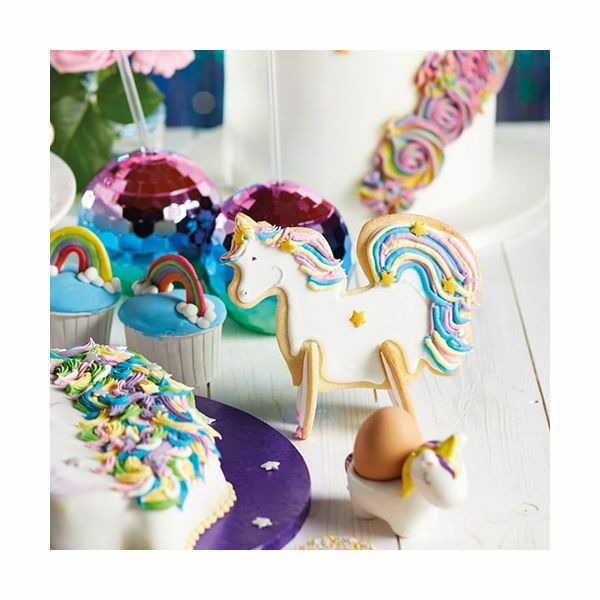 Once cooked the unicorn shape can be slotted together to complete a standing unicorn. The stainless steel cutters are BPA free and food safe.